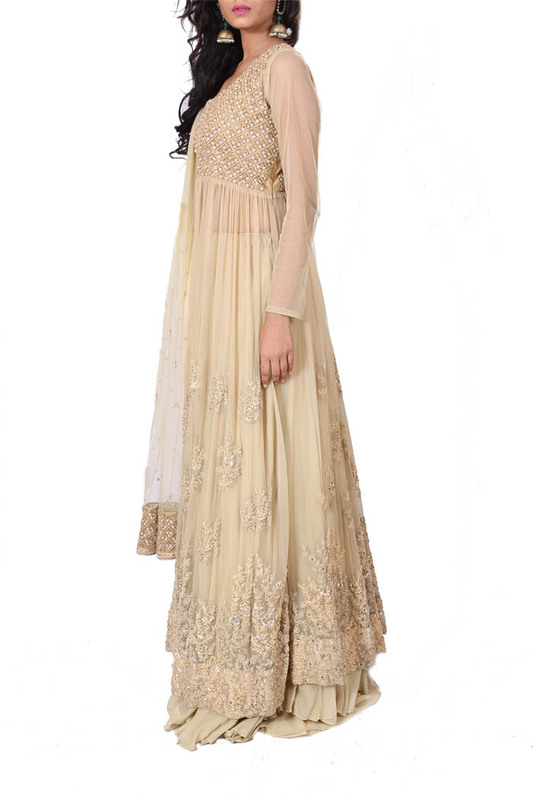 Featuring a long, beige jacket lehenga in net embellished in thread & shell button zardozi embroidery. 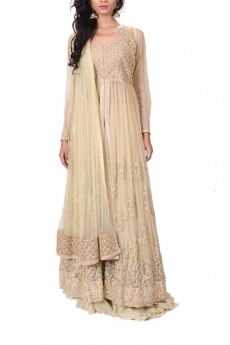 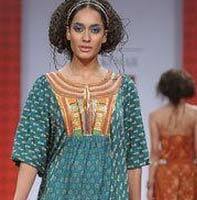 It's matched with a beige net embroidered dupatta. 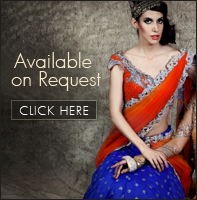 Chiffon lehenga with hemline in thread & sequins embroidery.